To mark the successful conclusion to their first year in semi-existence, The Moonlandingz have drawn together some extra material to form a deluxe edition of their debut album Interplanetary Class Classics. This version is out today digitally and on double CD. As well as the original track list, the deluxe includes a collection of new and previously unreleased tracks, remixes and demo / alternative versions. 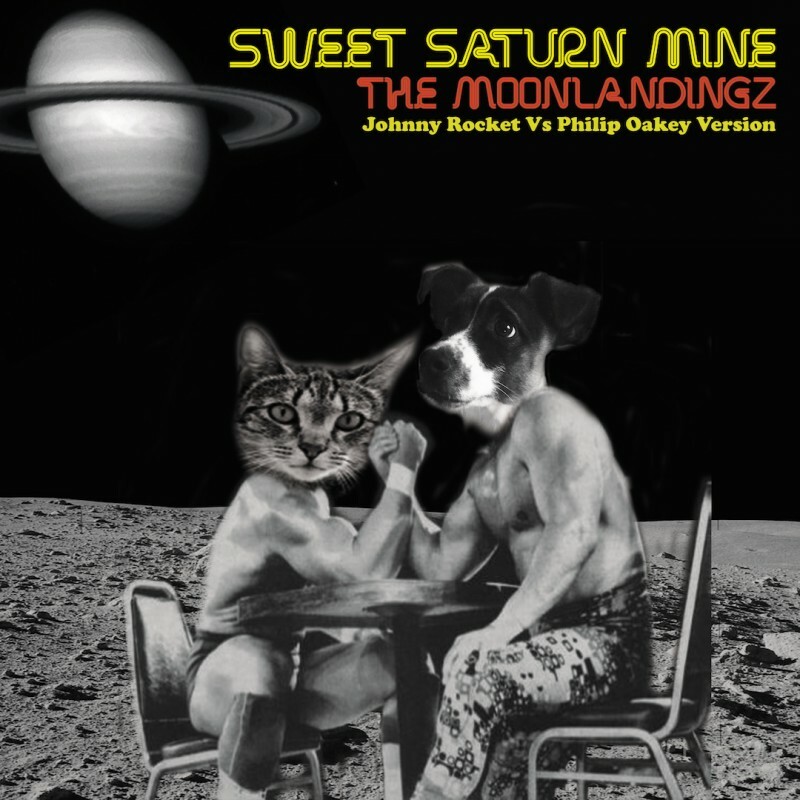 After a first post by Blackbook, we've also added Sweet Saturn Mind (Johnny Rocket vs Philip Oakey Version) to our New Releases playlist. "Deluxe Editions of albums are usually only awarded to bonafide classics... 'Interplanetary Class Classics' is and will forever be, a bonafide classic - and on March 24th 2037 , old folks with tricky legs and leaking midriffs the world over will say it was '20 years ago to the day' that they tried to buy the album of the Epoch but the 500 copies manufactured had sold out in 5 minutes flat in branches of B&M bargains and Wilkinsons, forever committing the artist to that struggling, low fee, indie band bracket - instead of being the genuine top 20 artists that they should have been, Top 20 Stars even! Alas - with no time for bitterness to fester and after an intensive tour of the world, we, The Moonlandingz, were able to pull back some dignity and glory by simply being 'the best live group off the planet' - and as a Unit we put a new found yearning in to the hearts of those entranced by the sheer brilliance of our kind of pop music, Moonlandingz music! It is for those bewildered and wide eyed Kooks that we bring you this - A Deluxe Edition of our 'Legendary Lost' Long player, which comes with a 2nd CD containing an extra hour of music, such as, all the EP B-sides, Remixes, unheard tracks, charming demos & the more curious experimental soundtrack side of our incredible, yet impeccably stylish audio arsenal! Not joking aside - It's nice to have all these tracks in one place, so to draw a line under what's gone and make way for our future, next to the greats. We may not be there when you want us but we will be there when you truly need us. Till then, we are observing your earth!"